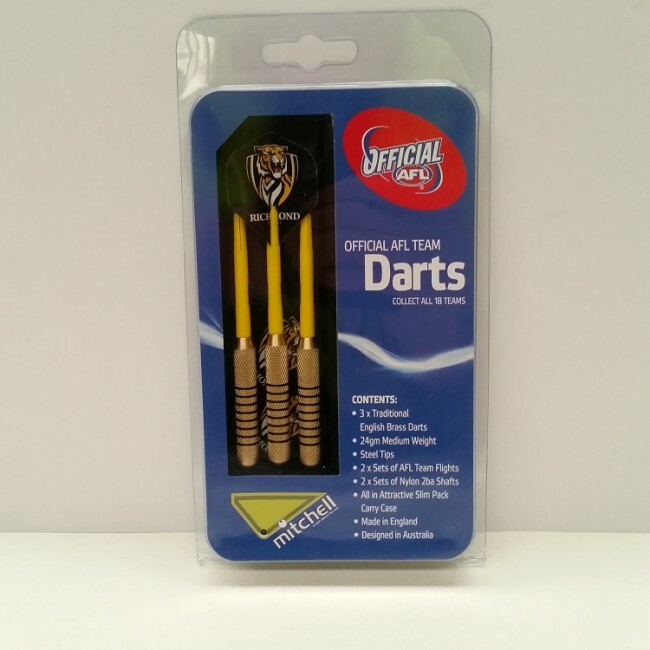 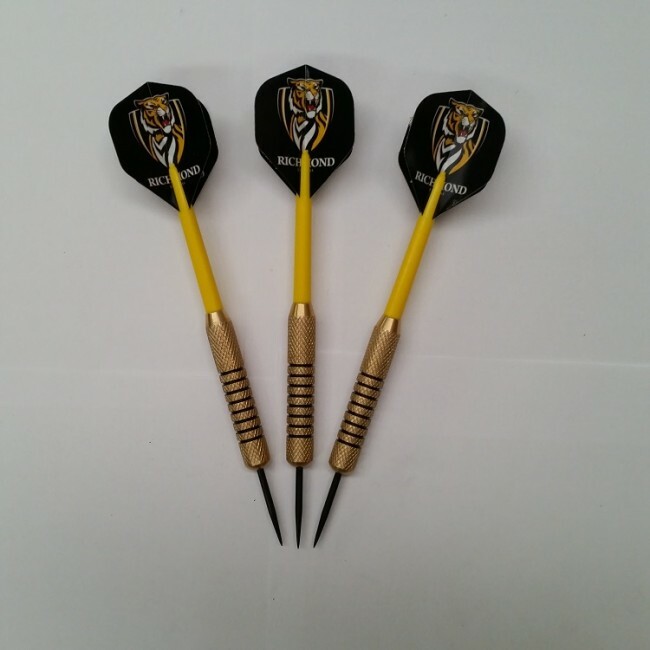 The Richmond Tigers dart sets are brass darts which features the official Richmond football club logo in the centre of the Dart Flight. 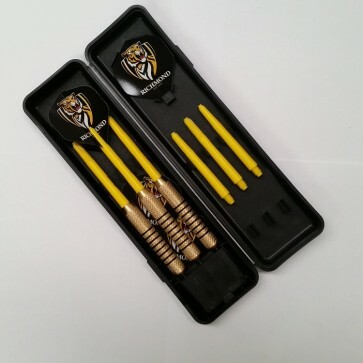 - Stylishly presented in a slim-pack storage case. 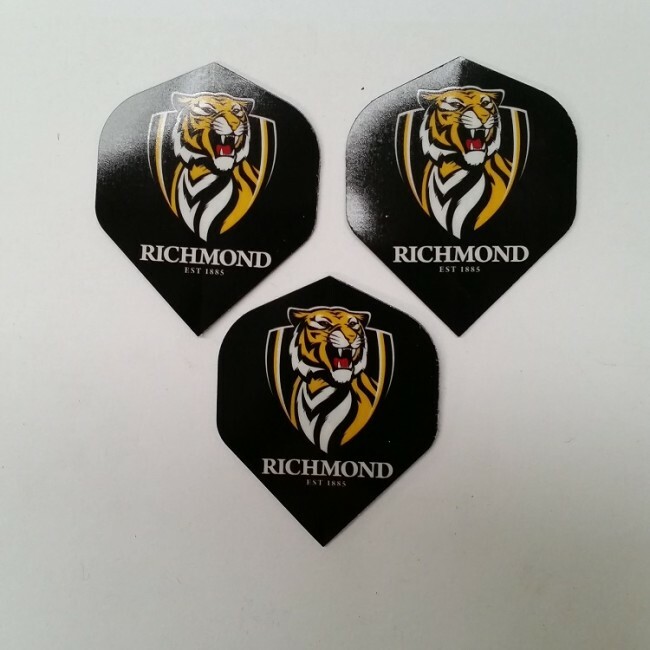 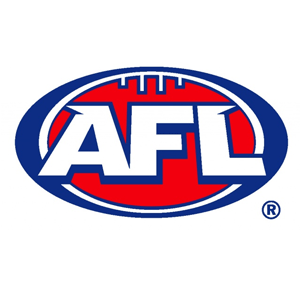 The Richmond Tigers dart sets are officially licensed by the Australian Football League.